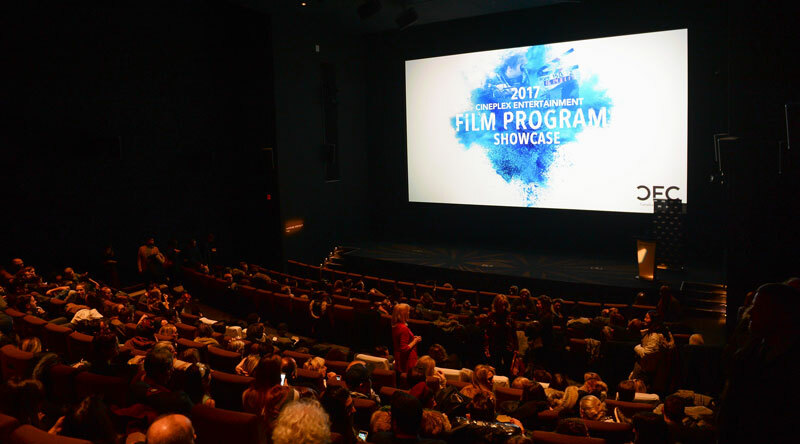 A sold out crowd of industry professionals, executives, cast, crew, current residents and alumni at the 2017 Cineplex Entertainment Film Program Showcase. The holiday season is upon us! For us at the CFC, that means it’s also time for the annual Cineplex Entertainment Film Program Showcase. This event sees the residents of the CFC’s signature film program screen promotional pieces for projects in development that are created specifically for the occasion and marks the official end of the five-month residency. The program, now in its 29th year, has always been central to founder Norman Jewison’s vision for the Canadian Film Centre. Since its inception, it has undergone many changes, but at its core “is a program that believes in the artistry of cinematic storytelling and in laying the groundwork for career longevity,” as CFC’s Chief Programs Officer Kathryn Emslie explained. Alumni of this program are some of Canada’s most celebrated and prolific creators and are continually doing great things, “this past year alone, we’ve seen film alumni create successful and notable work,” she added. Such as Un Traductor, from alumni Sebastián Barriuso and Lindsay Gossling, which is headed for its World Premiere in competition at the 2018 Sundance Film Festival; Lea Marin and Charles Officer’s award-winning documentary Unarmed Verses, which was named to Canada’s Top Ten Film Festival; alumni Jennifer Kawaja, Aubrey Nealon, Patrick Tarr and Shannon Masters’ work on the series Cardinal; and producer alumni Andrew Rosen and Anthony Leo, who met and forged a company together at the CFC and recently received a Golden Globe nomination for their animated feature The Breadwinner. 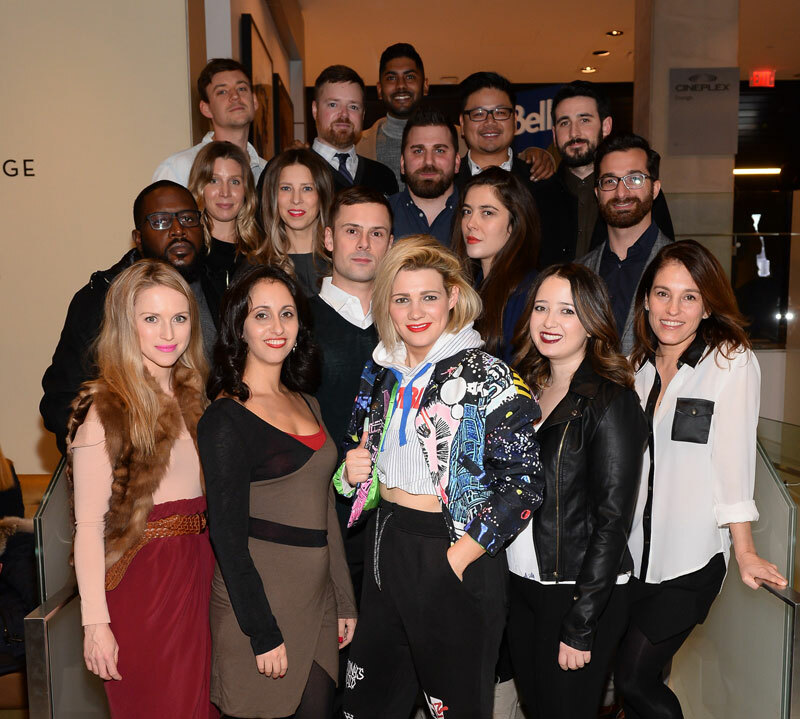 CFC celebrated the 2017 film residents on Monday, December 11 with the 2017 Cineplex Entertainment Film Program Showcase at TIFF Bell Lightbox in Toronto. A sold out crowd of industry professionals, executives, cast, crew, current residents and alumni gathered to watch this year’s promo pieces and to meet/catch up with the talent behind the original story and creative concepts. Throughout the course of the program, the writer, director, producer and editor residents have not only engaged in sessions, master classes, pitches, meetings, screenings, debriefs and production exercises, but have also worked on feature development (for the writers, directors and producers), slate and brand development (for the producers), and the editors honed their skills working on 40 different productions (including a feature film) totalling more than 150 hours of cutting each. It is that work that was reflected in the promotional pieces that were screened on December 11. The five producers developed 60-second promo pieces that highlight their vision and brand. The four writers and five directors created three-minute “in development” pieces built around their prospective feature film or TV projects that showcase their voice and vision and illustrate the characters, tone and visual style of their concept. The three editors edited many of these pieces; the residents of our Slaight Family Music Lab composed original music for each of the pieces; and many of the pieces featured performances by current and former residents of our CBC Actors Conservatory. As Erin Burke, CFC’s Associate Director of Programs/Content, explained at the Showcase, many of the creative concepts that have previously been developed in the Cineplex Entertainment Film Program have gone on to be produced and distributed, have garnered awards and praise and have helped launch careers, such as Molly McGlynn’s Mary Goes Round and Kathleen Hepburn’s Never Steady, Never Still, both of which premiered to critical acclaim at the 2017 Toronto International Film Festival. We have no doubt that we will be sharing similar success stories about this year’s talented residents at future showcases. The CFC extends our sincere thanks to all those who make the Cineplex Entertainment Film Program possible every year, including Cineplex Entertainment, the Government of Ontario, Cast and Crew Entertainment Services, our many corporate and individual partners, our unparalleled program mentors, and everyone who supported these artists and braved the snow and cold on Monday evening to show their support. Your investment in Canadian talent and our future creative industries enriches us all. Look through images of the 2017 Cineplex Entertainment Film Showcase HERE. Have these promo pieces piqued your interest in the Cineplex Entertainment Film Program? Applications for the 2018 program open this Friday, December 15 (and are due by January 31, 2018). Learn more HERE. For any additional questions concerning the Cineplex Entertainment Film Program or the eligibility/the application process please email: programs@cfccreates.com. All photos by Sam Santos / George Pimentel Photography.